Develop the entrepreneurial mindset, influence, skills and understanding you need to bring new ideas to the marketplace. Through hands-on experience, you’ll be ready to launch a startup, innovate for an established company, or develop sustainable solutions to important social problems. 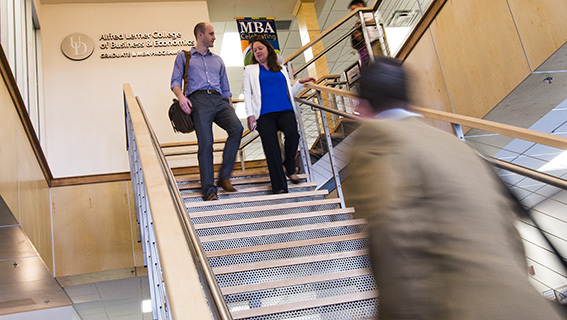 Entrepreneurial studies MBA concentration courses are offered in partnership with Horn Entrepreneurship. Students who choose this major are encouraged to participate in the many co-curricular and networking opportunities offered by Horn. In addition to the nine prescribed credits of the concentration, you will choose an additional six credits of electives.